The show has its biggest audience in six weeks as the president was called by Hannity to discuss the Mueller report and other matters. Sean Hannity’s Fox News show hit a six-week high in viewers Wednesday with the host’s latest interview with President Donald Trump. 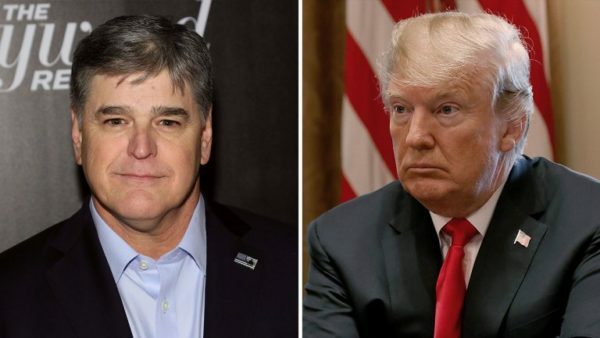 Hannity delivered 4.3 million viewers with the interview, Trump’s first since he was claimed “total exoneration” following the delivery of special counsel Robert Mueller’s report to Attorney General William Barr. It’s the most for the show since Feb. 11, when it drew 4.38 million viewers for an installment that included live coverage of a Trump rally. Tucker Carlson Tonight (3.49 million viewers) and The Ingraham Angle(3.27 million) also had strong showings flanking Hannity, per early Nielsen figures — continuing a strong run for the network’s primetime hosts since the Mueller report was delivered on Friday. It certainly looks like media outlets like CNN and MSNBC could be facing serious problems at least until the next Election Run and that could affect the Bottom Lines. It will be interesting to see what happens with Management, Staff, and the actual content going forward. It is obvious Heads will Roll but it remains if it will be On Air types, Management or both. Do Advertisers get vocal and demand changes in policy or do Advertisers just move to where ratings are better? At this point it sadly appears that so far WaPo, NYT, MSNBC, and CNN are still doubling down on “Russia Russia Russia” and other criticisms of Trump including his appearance. I understood those types of criticisms were off limits to SJW Liberals. I suppose it depends on who the Target happens to be. BMCQ, your so right. The conservative, , right wing, sanity crowd doesnt even come close to the rhetoric spewed from left wing SJWs. That collection of liars believes that it is their God given right to lie steal cheat and even fake racial attacks in order to achieve their common goal. The goal being the ouster of a democratically elected president. Rosie Odonald Whuoppy Ophra Kloony, and the rest of the Hollywood crowd think that people pay attention to the drizzle that they spew. (how many of them walked across the boarder and claimed refugee status when DJT WON the election. I like to think his triumph in the next election will be his victory lap . The Media and the Democrats will throw absolutely everything they can at Trump over the next two years. After his Electiin I honestly thought he would be quite successful, do something about Immigration, Immigration Reform/Daca, the Border, Trade Deals, Health Care, The Justice System and then declare after three years he would not seek re-Election and go home to NY to rest and get back to his business. I am now ofthe opinion that because of the “Russia Russia Russia” Hoax and the Trump Derangement Syndrome spreading through Liberal Media and Dem Politicians Trump will stay and seek a second Term and win. In the meantime the Liberal Media, George Clooney, Whoopi, Cher, Streisand, and the Dems,will blame him for Climate Change, The Viet Nam War, The Vanishing Salmon, and the upcoming pregnancy of KIM Kardashian. Mark my words the Looney Left have pushed DJT into throwing his hat into the ring for Term Two ! I hope it makes them happy!